Detroit Wrecker keeps you going day after day, year after year. Come experience the difference! Junk-Car Transporters – Anyone who collects, transports, or delivers junk cars, scrap cars, or totaled vehicles, should come to Detroit Wrecker for parts, service, and especially to talk about upgrading to a Low Loader and its 40 degree dump angle! We specialize in all of the right tools to make sure that you are able to get the job done. We know that your business often times requires for you to load a your cars in difficult places. Our custom builds are available to give you exactly what you need. 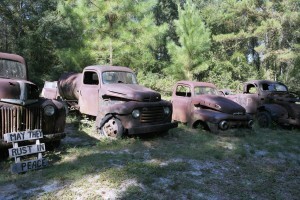 Here are a few of our products that you can use if you are a junk car collector or transporter. The Low Loader – Our signature Low Loader is the industry leader in flatbed tow trucks. It has the lowest load angle and the highest dump angle of any flatbed carrier on the market. It’s also the strongest, twice as strong as the average flatbed carrier. The deck is rated and tested to 20,000 pounds, making it the obvious choice for your next carrier. Each Low Loader is built from the ground up, right here in our Detroit facility. Each member of our manufacturing team is an expert craftsman. The Lil Hercules – Our Lil Hercules line of underbody wheel lifts is taking the industry by storm. Built thicker, tougher and stronger than any other underbody wheel lift on the market, the Lil Hercules can pull more weight than any other. The Lil Hercules has an 8.000 lb towing capacity, and a 4,000lb lift capacity. Our unique pivot head design features a two-piece pin system that allows for easy tightening with a nut and bolt, instead of needing repair. That means you stay out on the road, instead of coming into the shop for pin replacement. We stock replacement parts, pieces, and accessories for all the big names in towing. Our parts department knows what you need, and our Service Department will have you back on the road in no time. Whatever brand you have, bring it to Detroit Wrecker for maintenance, service, repair, modification, and upgrades. From hose replacement, to electrical, to fabrication repairs, we have the best products, the best service, and the best shop in town!